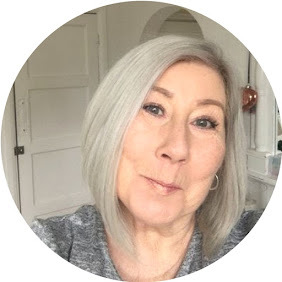 This I just had to write about, a new discovery for me that when I first heard of I was sceptical to say the least, I honestly couldn't see why anyone would need one......how wrong was I ? Flat Pak Wine. The Foldable Wine Bottle. This really is what is say's on the Pack ( A Flat Pak Wine Bottle ) it's also a hell of a lot more; I actually think the inventors of this bottle have missed a trick......I am no marketing guru, but even I can see it's uses are being undersold by it's deceptive title, or maybe it's just me liking to get a lot for my money, talking of money this little baby is on offer at the moment. Wine ? why not water ? Juice ? washing liquid for travel, or actually for any other liquids when travelling, one of the things that occurred to me, was how many times do you leave shampoo at your holiday destination to leave more room in the case coming home ? It is BPA free which having read up on the topic of toxins from plastics is incredibly important to me. It weighs almost nothing. rolls up when empty. As it fills the base pops out and becomes stable. Kind to the planet. Cuts down on re-cycling. Perfect for day's out, events, camping, parties, picnics etc. Totally reusable, rinses out easily. Imagine a day out with little ones without a lot of money, yup I have been there, you could fill this bottle with juice, and save yourself a few pounds on cafe prices. the fact that it rolls flat to carry home is a godsend. I, like a saddo have carried this bottle around in my bag for the last 48 hours filled with water, yes I get thirsty but that wasn't the reason, I wanted to check for drips and leaks........non.....not a drop, perfect. Can you imagine being this excited over a plastic bottle ? 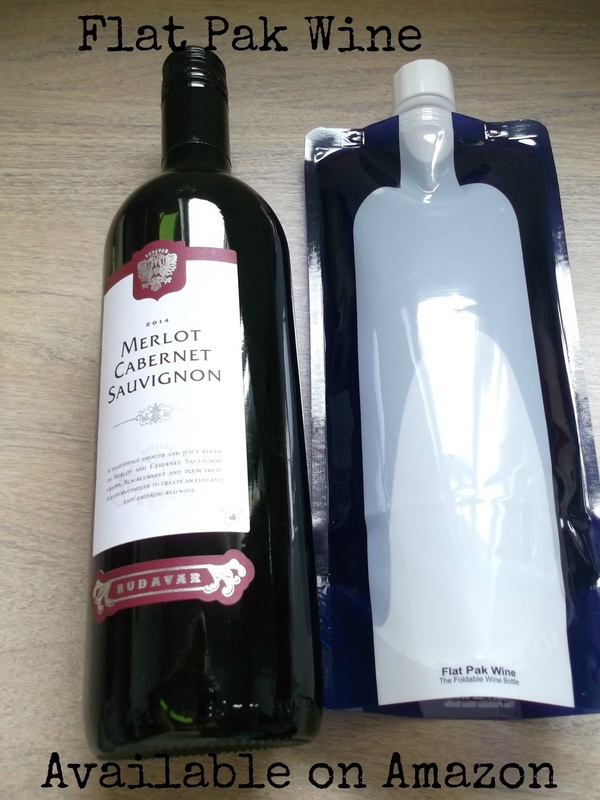 I didn't think I would be, but it's usefulness is endless, of course for the purpose of it's design, my friend is an avid Theatre goer and if you have ever bought a small glass of wine in the intermission, you will understand why she loves her Flat Pak Wine, saves a small fortune. DO NOT quote me on this, but it did occur to me that it could be left in the car for petrol emergencies ? although I have yet to test my theory, as you can see my brain is full of ideas for this fabulous invention, and I bet yours will be too ! 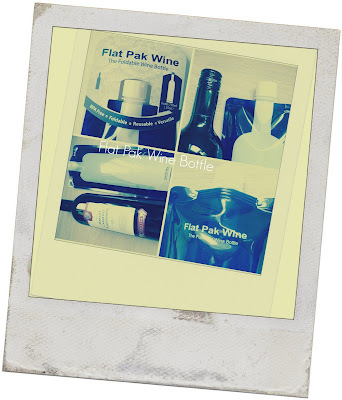 The Flat Pak Wine Bottle is currently only available on Amazon, as it has only just arrived in the UK from America. Use Code 15OCTFPW at checkout.